Home / News / Gascon pushes ICC to continue investigation against Duterte: "By 2019, we are hoping for jurisdiction, ilabas nila ang mga documento na kailangan." 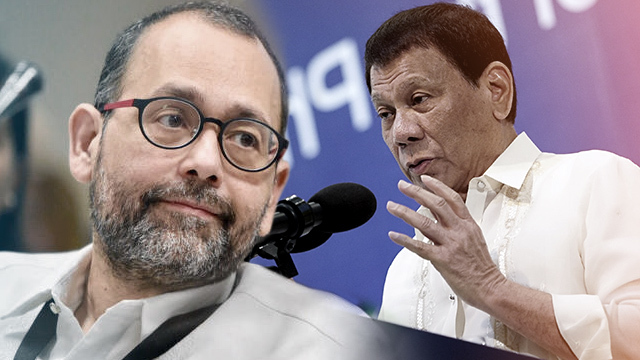 Gascon pushes ICC to continue investigation against Duterte: "By 2019, we are hoping for jurisdiction, ilabas nila ang mga documento na kailangan." 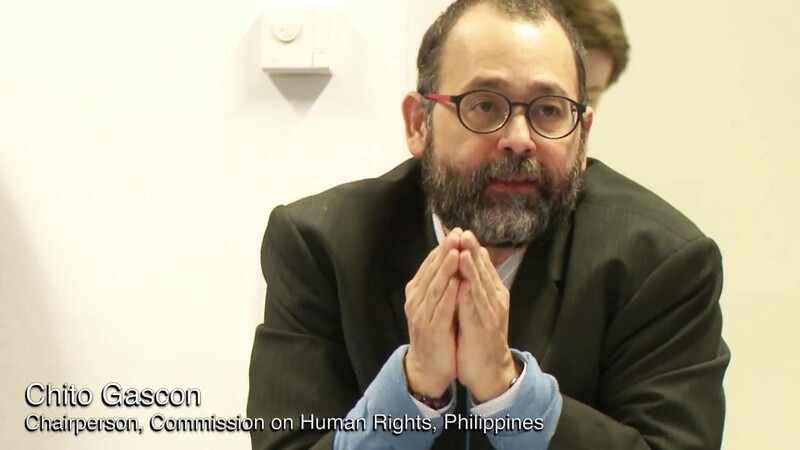 The Commission on Human Rights chairman Jose Luis Gascon said during a forum in Quezon City Monday, that he hopes that the International Criminal Court can pursue with the formal investigation against President Rodrigo Duterte, even though the Philippines has withdrawn from the ICC. "We are hoping very soon… that in the first quarter of the next year, we hope the ICC will look into the next stage of formal investigation. Even if Mr. Duterte has withdrawn from ICC, he is still subject to the jurisdiction of the ICC until 2019," Gascon said. "What has occurred from July 1, 2016 when he assumed the presidency onwards are all matters of public record that should also be made available by the government to the International Criminal Court," he added. Gascon dares Duterte to cooperate with the ICC and present all documents it has requested so that it can conduct an impartial investigation. Gascon said there was reluctance in providing access to information, which hampers the work of human rights defenders. Some records given to human rights groups, on the other hand, were incomplete despite a Supreme Court order compelling the government to submit reports related to the war on drugs. "Ultimately we need to document what is happening on the ground. We call on the government to provide the data that we need. How can human rights advocates do their work if the government continues to block us access to vital information? "Chairperson Gascon said. In March 2017, President Duterte had pulled out the Philippines from the Rome Statute that created the ICC after the tribunal announced it would initiate a preliminary examination of alleged cases against humanity under his leadership. Duterte made a remark, that he made the decision to withdrawn from the ICC because of the "baseless" accusations against him by United Nations officials and violation of due process by the ICC. He faces two complaints at the ICC from lawyer Jude Sabio and network of activists, priests and members of the urban poor communities who have suffered from Duterte's campaign. Lawyer Edre Olalia said a 50-page complaint against President Rodrigo Duterte was sent to an ICC prosecutor by email. Olalia said it accuses Duterte of ordering, inciting or tolerating its campaign from the start of his presidency in mid-2016 to this month. The Duterte administration said it expects the effort to fail. The first complaint against Duterte, which was filed by Sabio, has been examined by ICC Prosecutor Fatou Bensouda. He testified that he was a former hit-man of the former Davao Death Squad member of Edgar Matobato. Prior to the filing of Sabio's information, Bensouda said she was "deeply concerned" by reports of Duterte's campaign in the Philippines, adding that statements by "high officials" in the country "seem to condone such anti-human rights act." CHR hopes that ICC proceeds with the probe versus Duterte after all allegations have been filed.